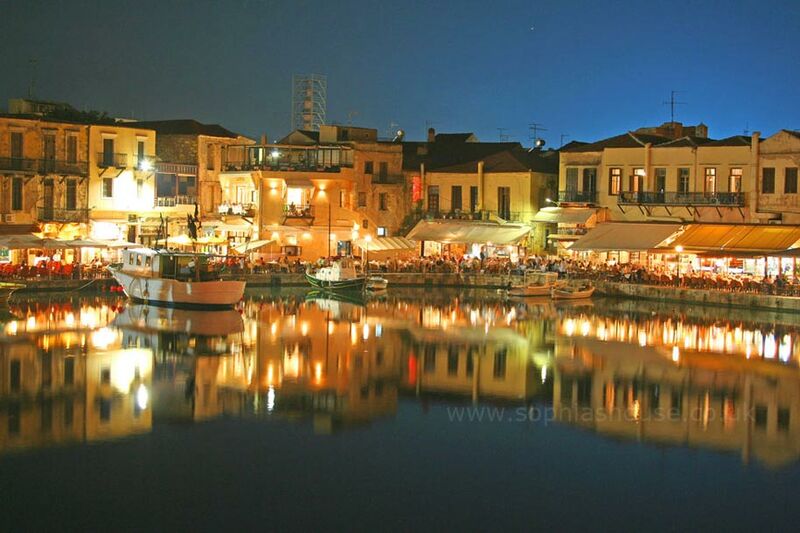 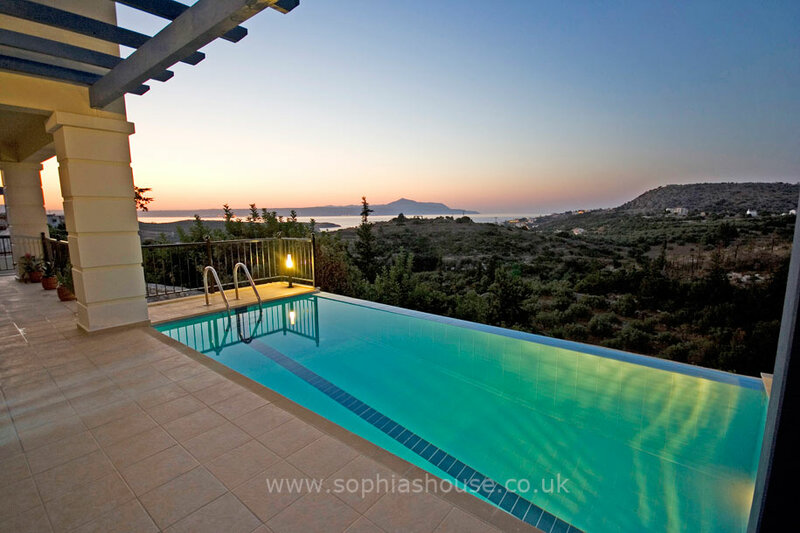 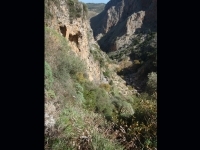 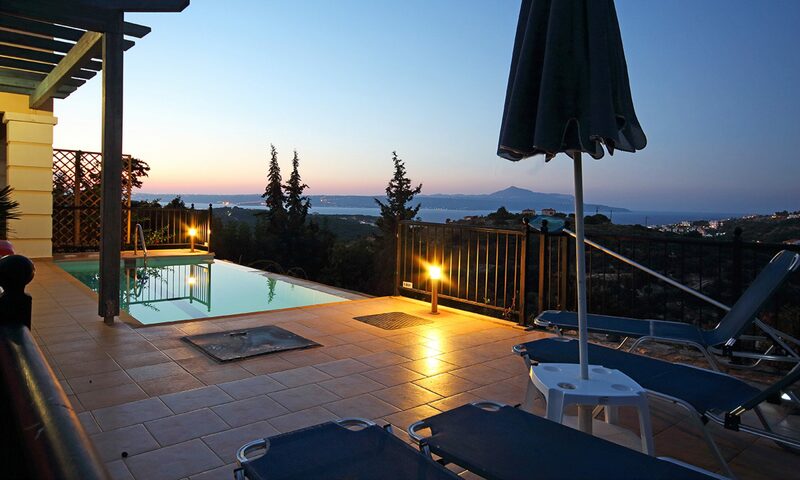 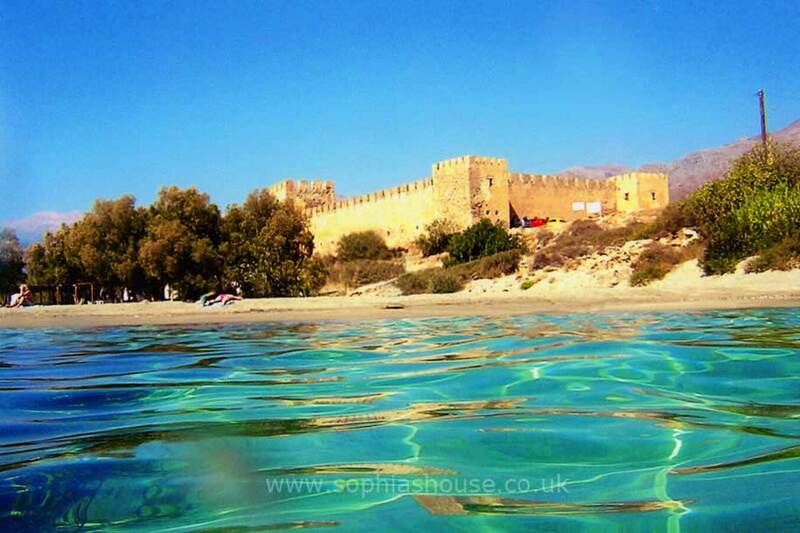 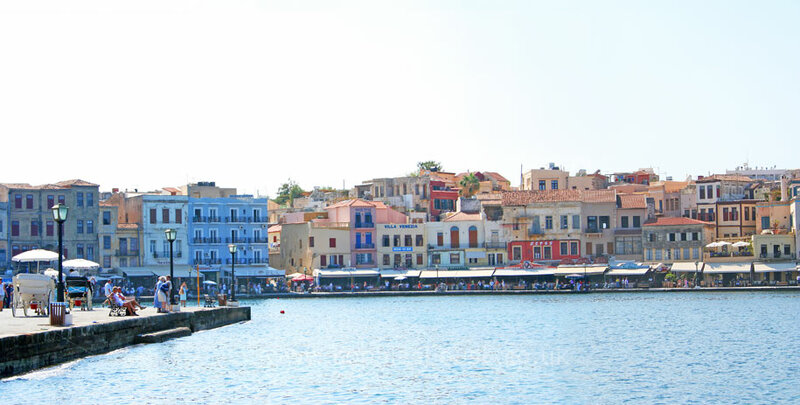 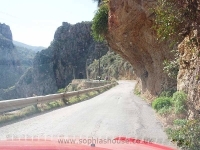 South of Topolia, follow the road to Elafonisi beach from Kissamos, after you pass through the narrow tunnel you will see the cave Agios Sophia on the right hand side of the road. 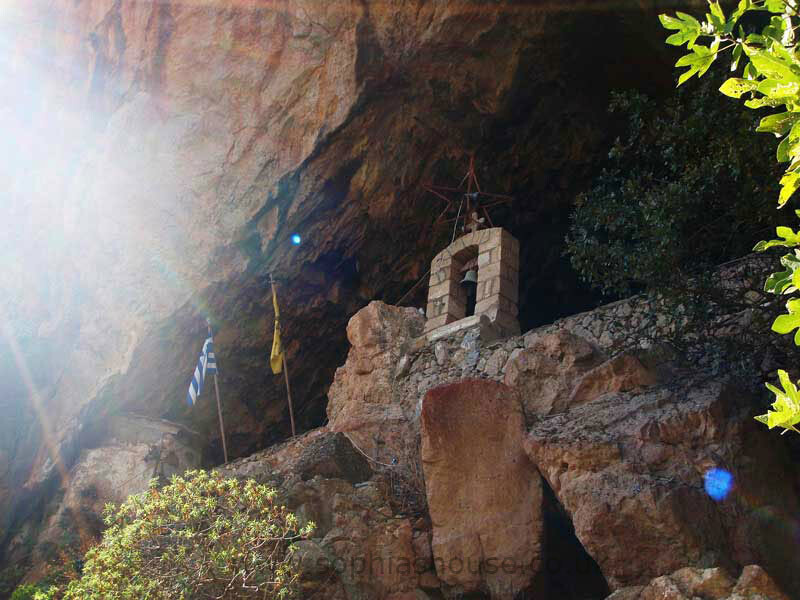 There is a taverna situated at the bottom of the steps that lead up to the cave, The proprieter always wears traditional Cretan dress. 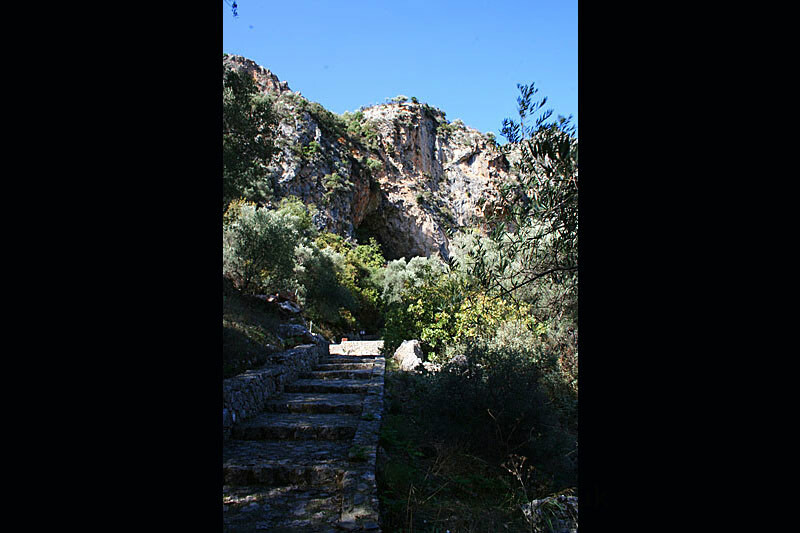 Climb up the stone stairway to access the cave,stop and look up at the flora that cover the cliff walls and the wild birds that nest among them. 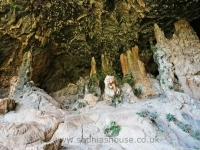 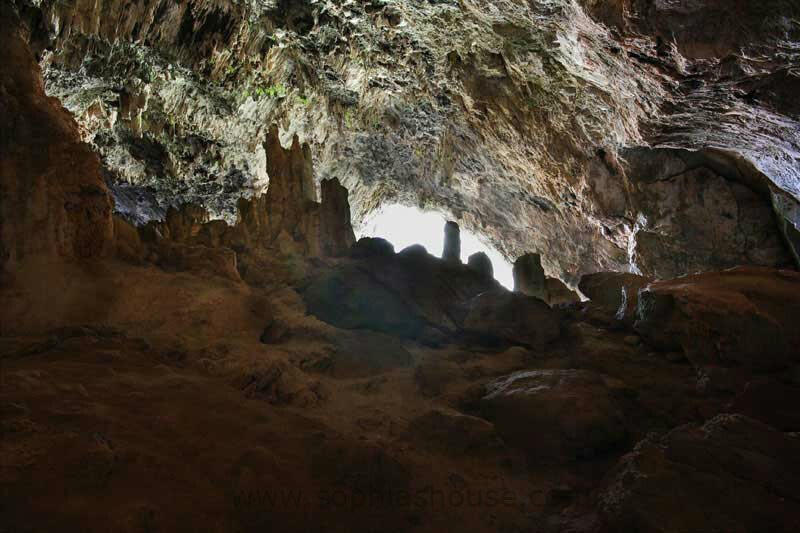 On entering the cave you notice the cooler temperature, a welcome relief from the heat of the sun. 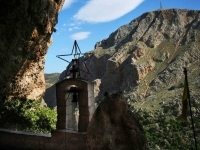 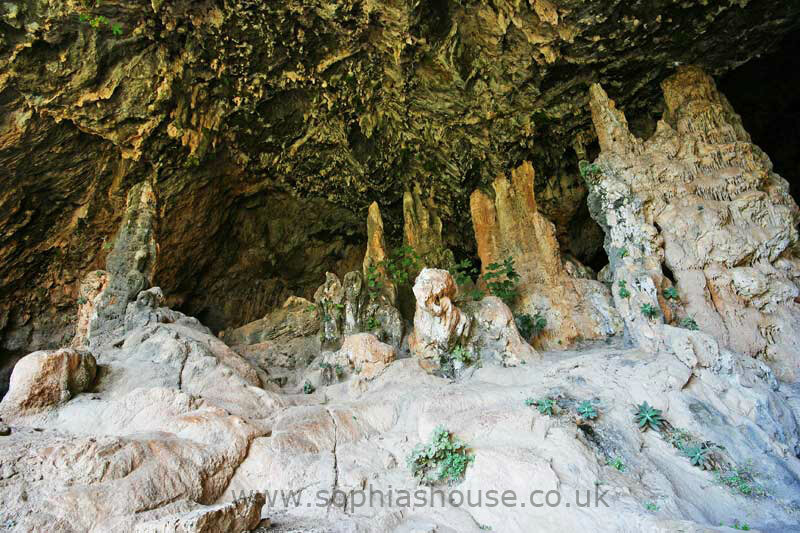 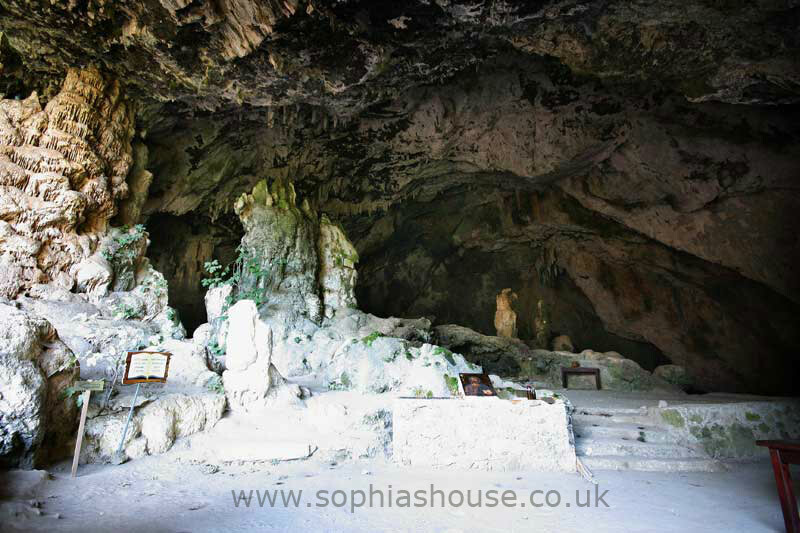 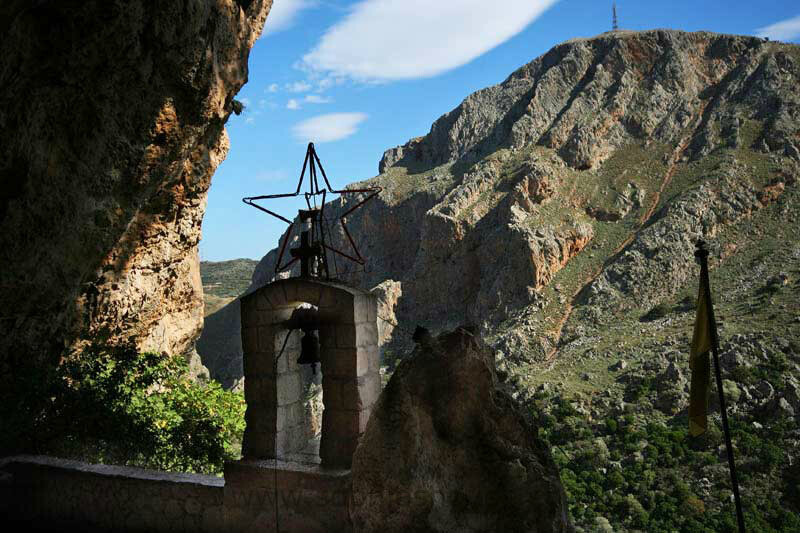 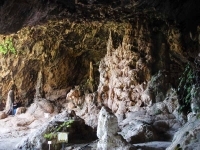 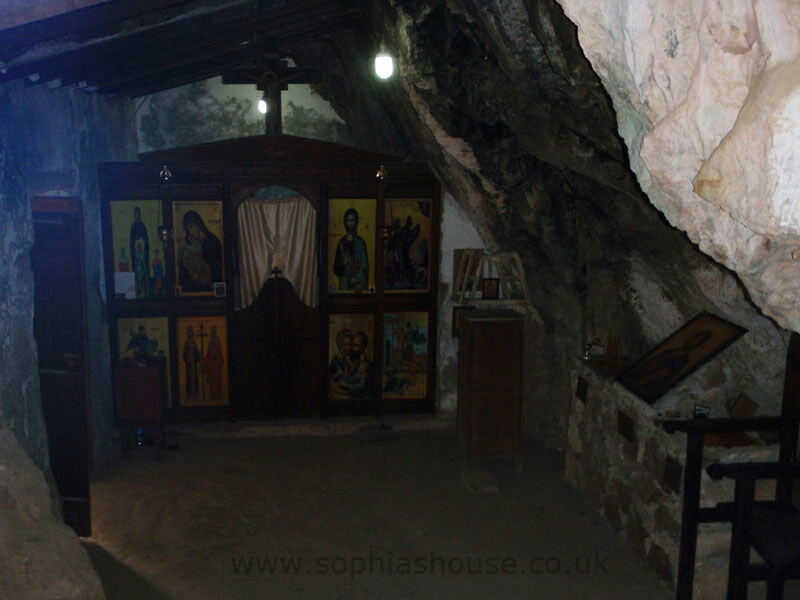 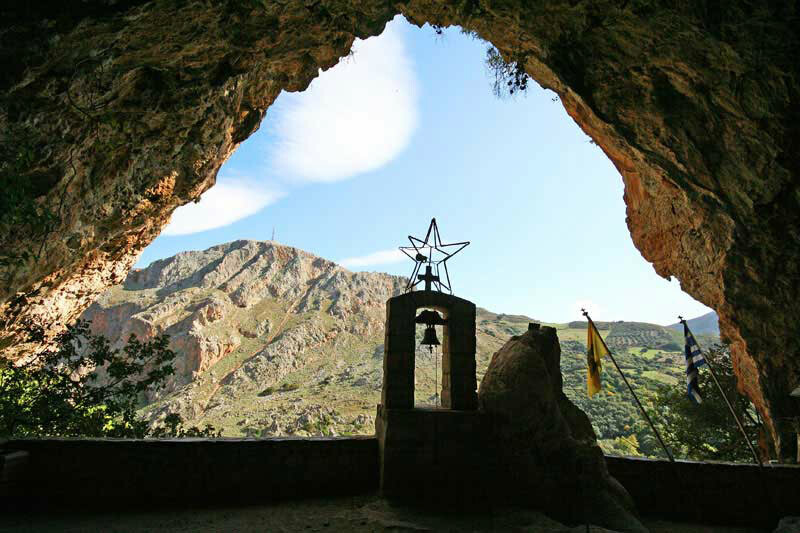 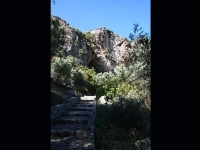 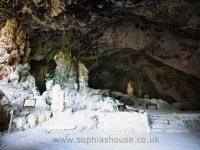 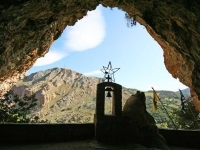 To the left there is the small chapel dedicated to Agios Sophia, pass through this tiny chapel and enter the main cavern with it’s impressive show of stalegmites and stalegtites the largest measuring about 6 metres. 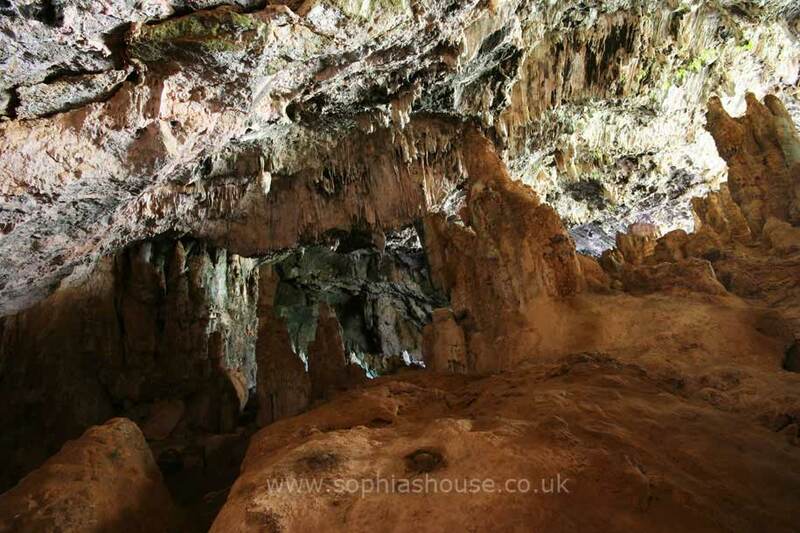 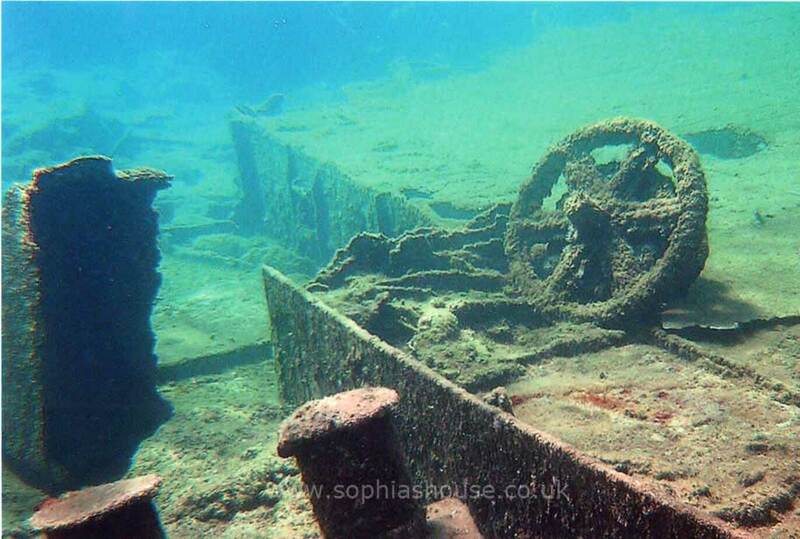 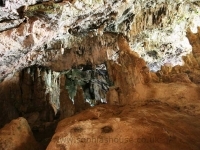 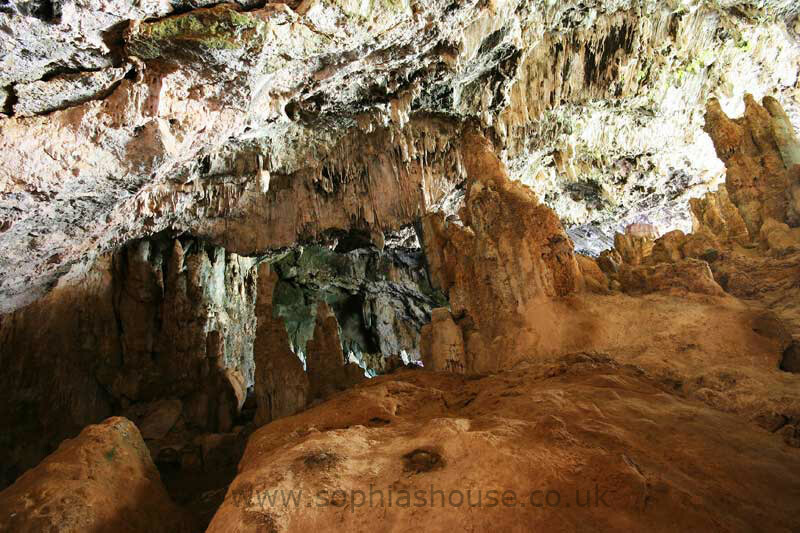 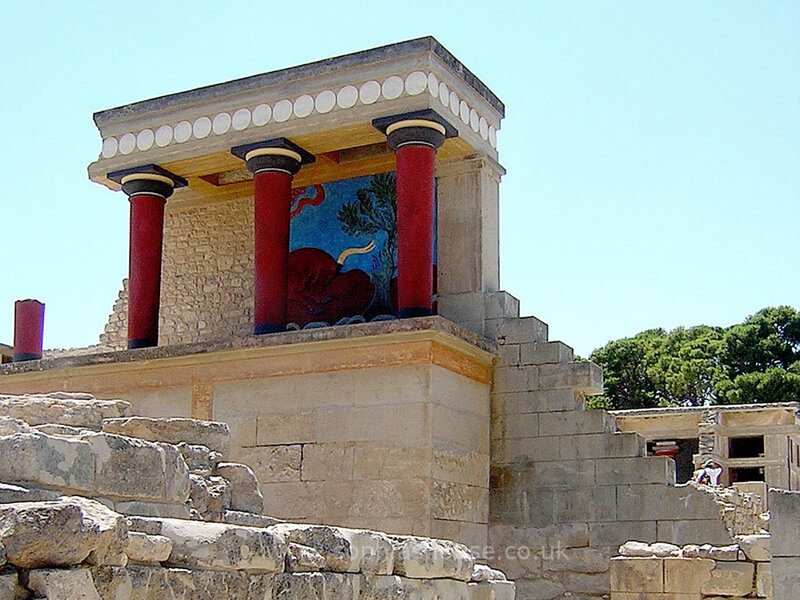 There have been many ancient finds inside the cave including sea-shells from around the neolithic period. 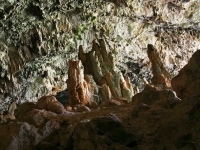 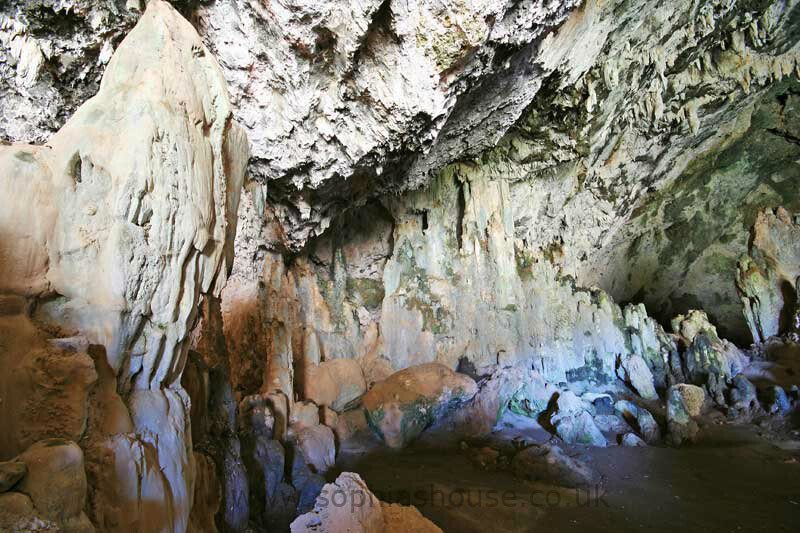 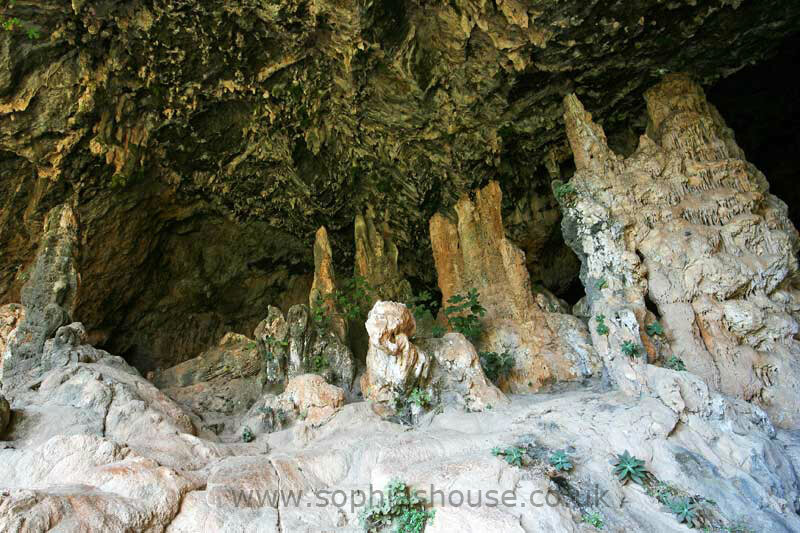 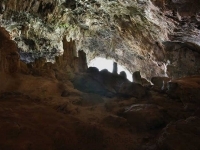 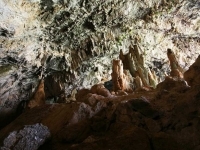 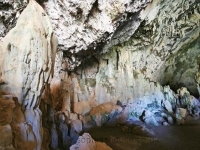 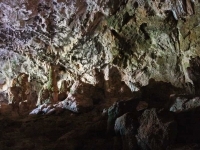 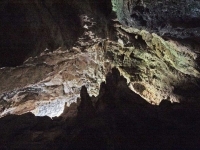 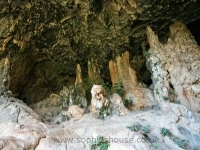 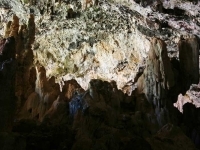 Fig trees grow around the cave,and pigeons can be seen roosting amongst the rock formations. 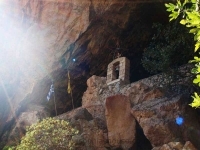 The cave of Agios Sophia is still used for religious worship. 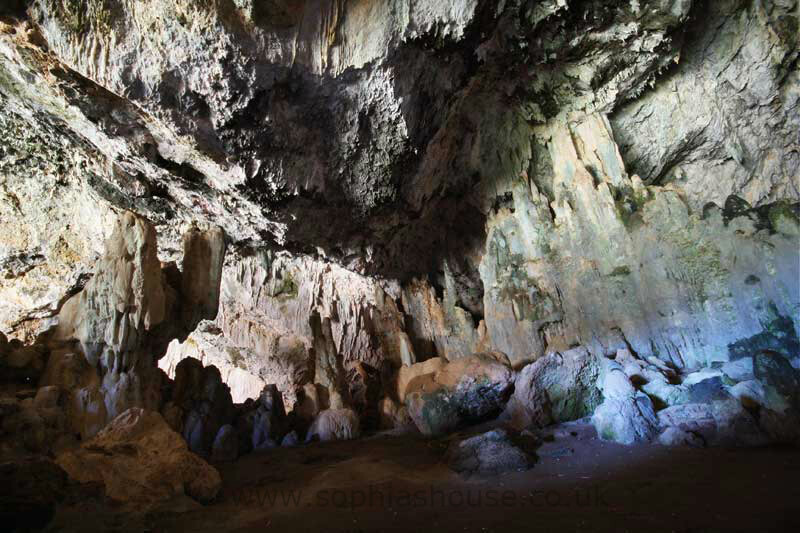 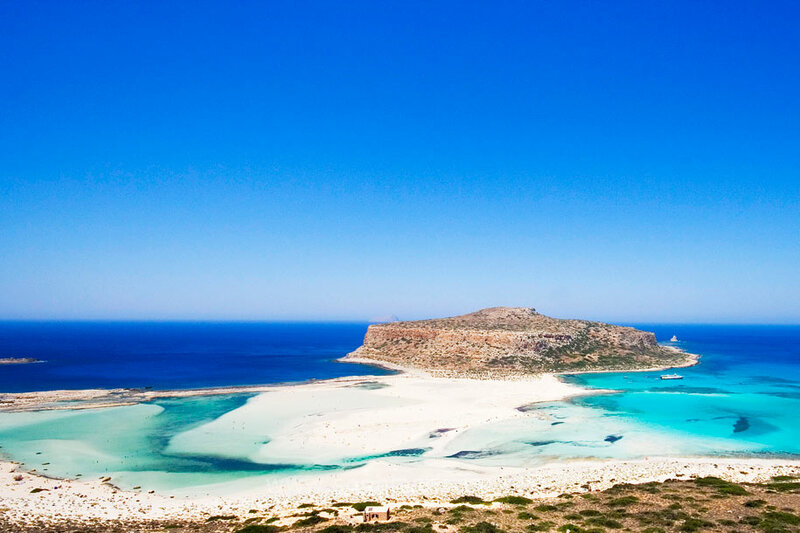 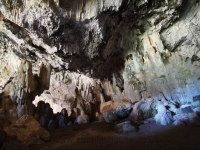 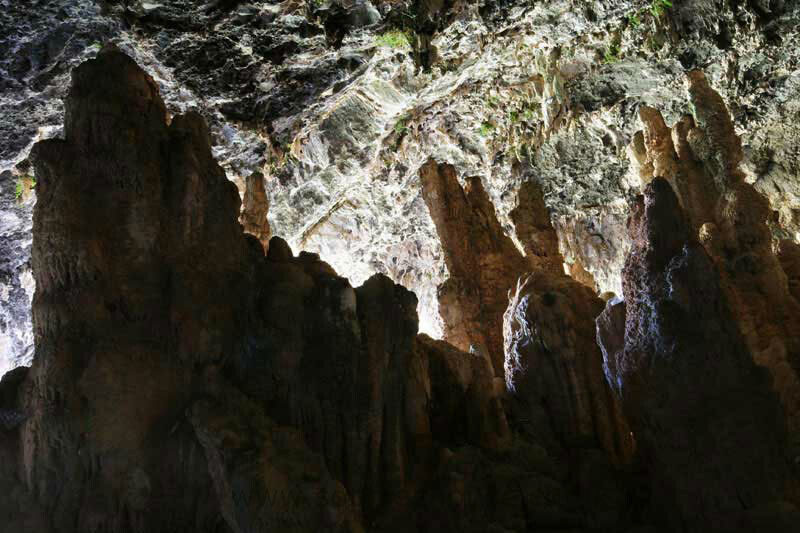 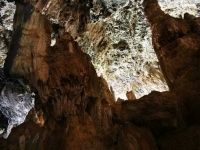 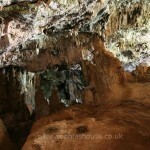 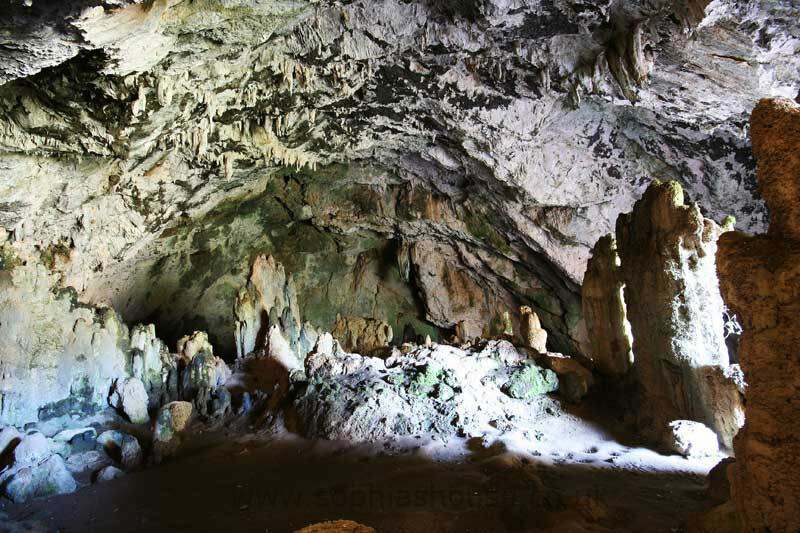 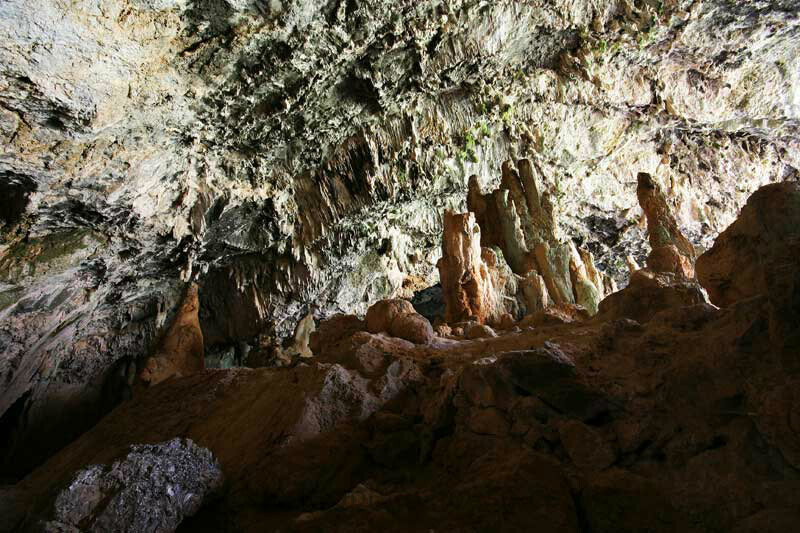 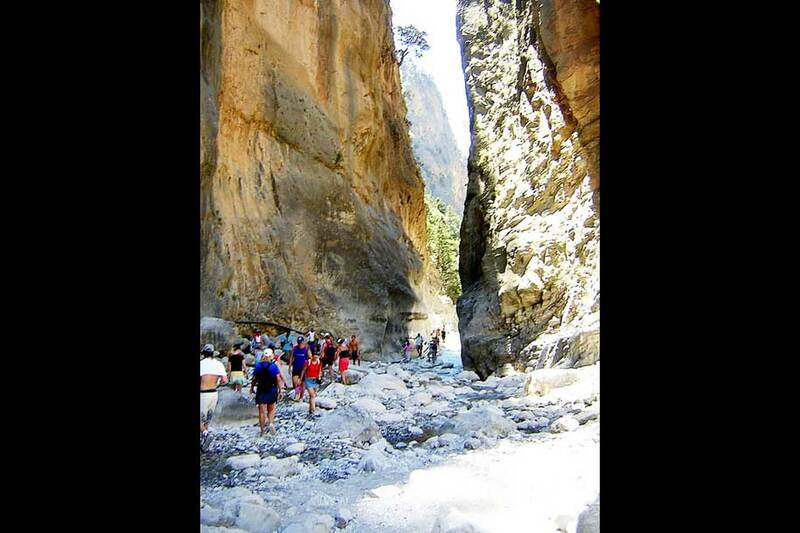 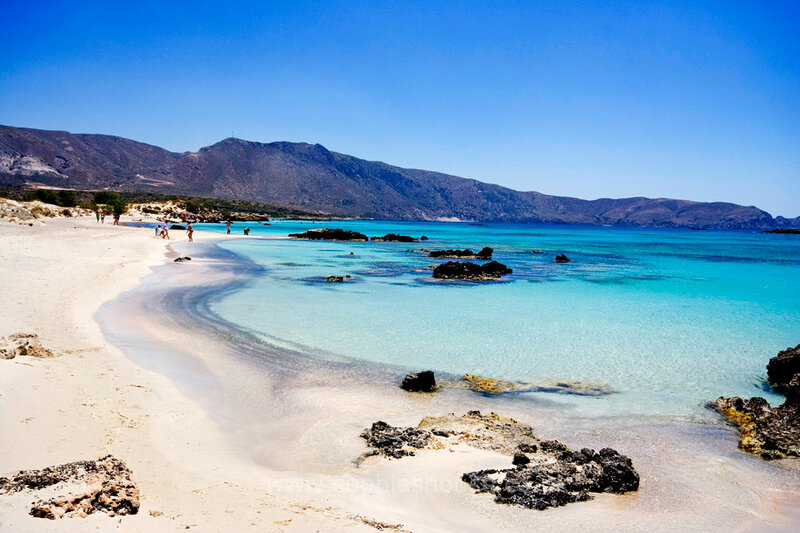 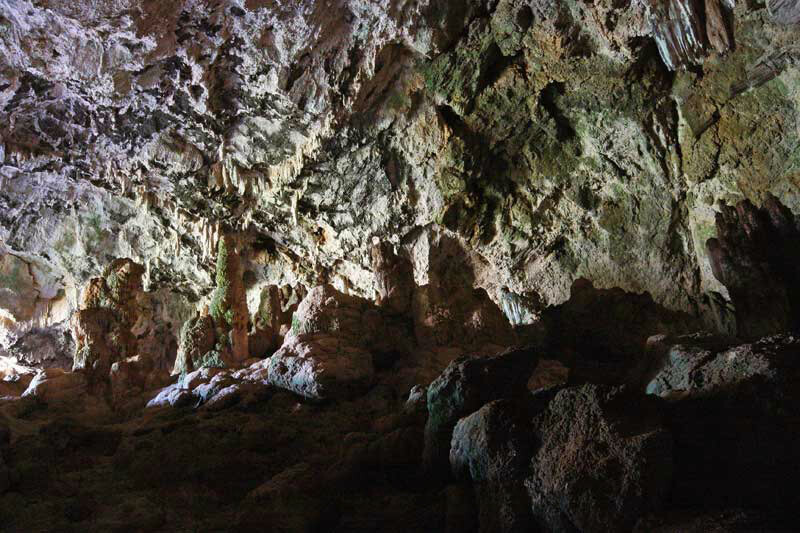 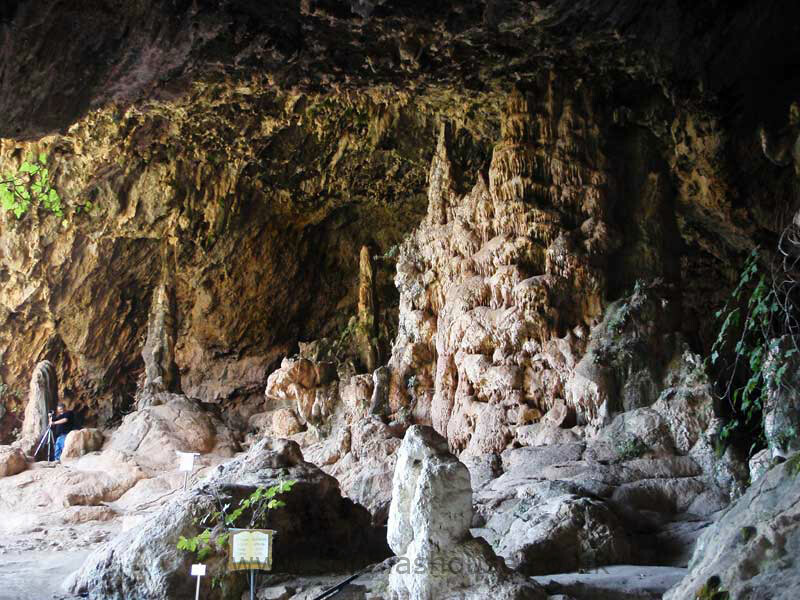 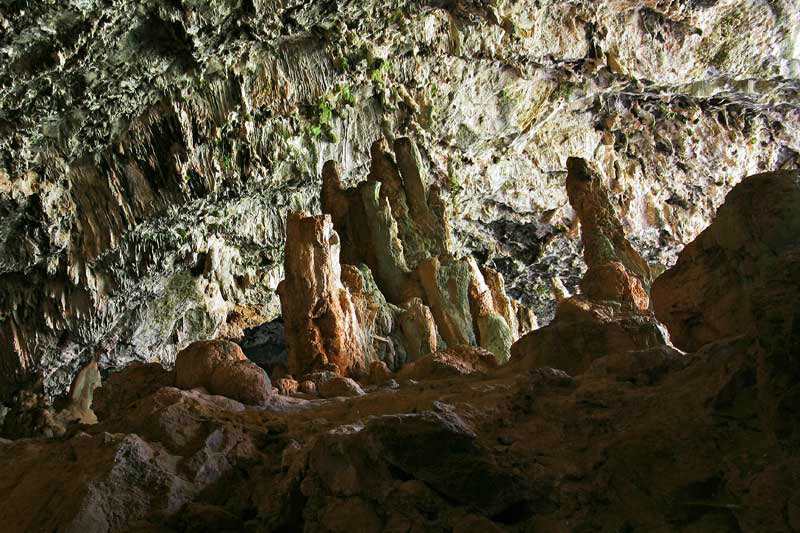 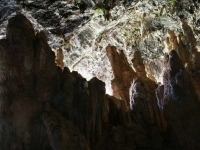 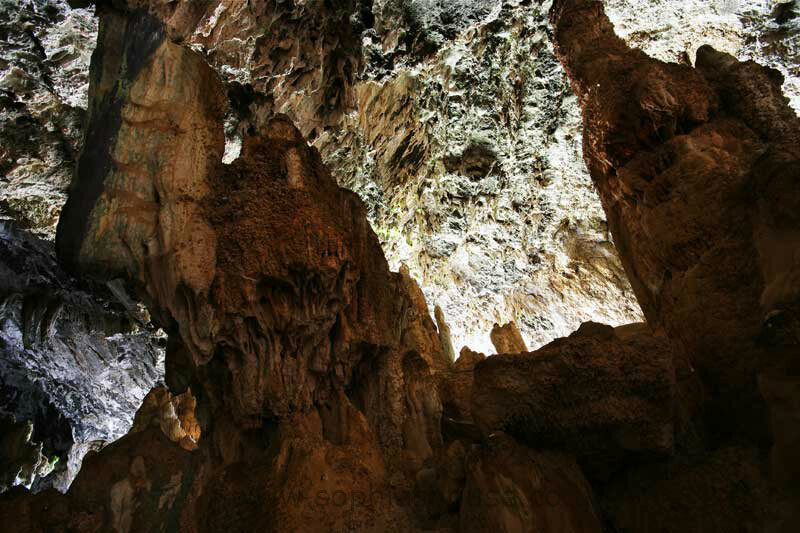 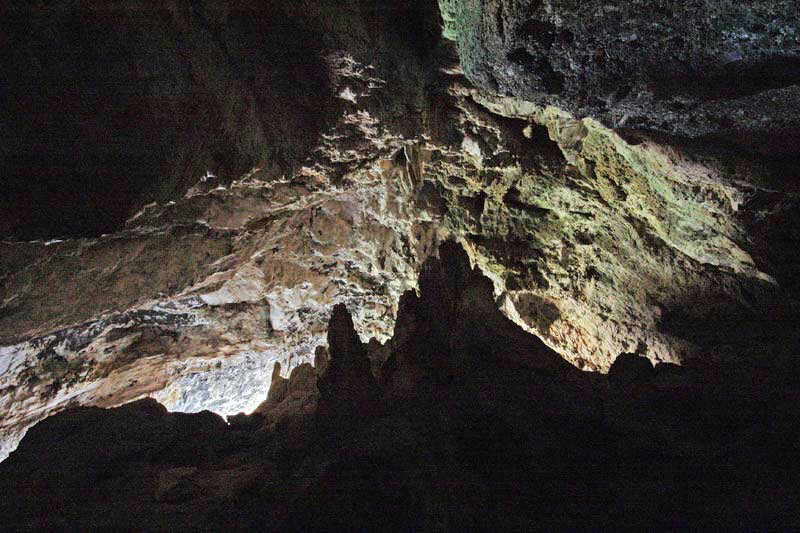 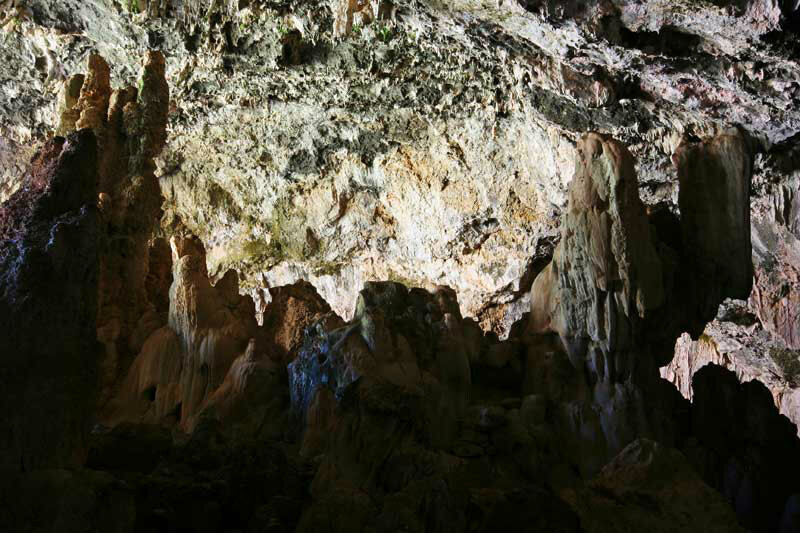 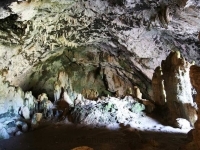 If you’re heading to elafonisi beach,then take a break and have a look at this grand cavern of natural wonder.